Tanit is also called Tinnit, Tannou, or Tangou. The name appears to have originated in Carthage (modern day Tunisia), though it does not appear in local theophorous names. 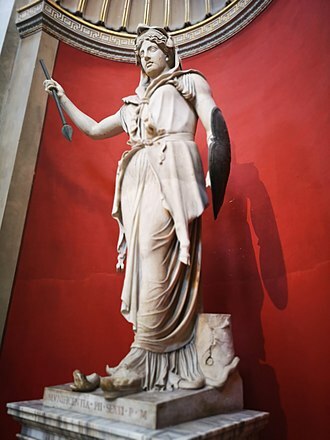 She was equivalent to the moon-goddess Astarte, and later worshipped in Roman Carthage in her Romanized form as Dea Caelestis, Juno Caelestis, or simply Caelestis. In modern-day Tunisian Arabic, it is customary to invoke Omek Tannou or Oumouk Tangou ('Mother Tannou' or 'Mother Tangou', depending on the region), in years of drought to bring rain. Similarly, Tunisian and many other spoken forms of Arabic refer to "Baali farming" to refer to non-irrigated agriculture. 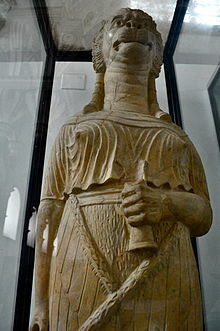 Tanit was worshiped in Punic contexts in the Western Mediterranean, from Malta to Gades into Hellenistic times. From the fifth century BCE onwards, Tanit's worship is associated with that of Baal-hamon. 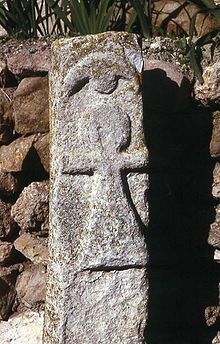 She is given the epithet pene baal ('face of Baal') and the title rabat, the female form of rab ('chief'). In North Africa, where the inscriptions and material remains are more plentiful, she was, as well as a consort of Baal-hamon, a heavenly goddess of war, a "virginal" (unmarried) mother goddess and nurse, and, less specifically, a symbol of fertility, as are most female forms. 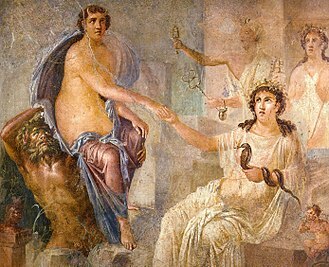 Several of the major Greek goddesses were identified with Tanit by the syncretic interpretatio graeca, which recognized as Greek deities in foreign guise the gods of most of the surrounding non-Hellene cultures. The origins of Tanit are to be found in the pantheon of Ugarit, especially in the Ugaritic goddess Anat (Hvidberg-Hansen 1982). There is significant, albeit disputed, evidence, both archaeological and within ancient written sources, pointing towards child sacrifice forming part of the worship of Tanit and Baal Hammon. Some archaeologists theorised that infant sacrifices have occurred. Lawrence E. Stager, who directed the excavations of the Carthage Tophet in the 1970s, believes that infant sacrifice was practiced there. Paolo Xella of the National Research Council in Rome summarized the textual, epigraphical, and archaeological evidence for Carthaginian infant sacrifice. Tophet is a Hebrew term from the Bible, used to refer to a site near Jerusalem at which Canaanites and Israelites who strayed from Judaism by practicing Canaanite idolatry were said to sacrifice children. It is now used as a general term for all such sites with cremated human and animal remains. The Hebrew Bible does not specify that the Israelite victims were buried, only burned, although the "place of burning" was probably adjacent to the place of burial. We have no idea how the Phoenicians themselves referred to the places of burning or burial, or to the practice itself. Several apparent tophets have been identified, chiefly a large one in Carthage, dubbed the Tophet of Salammbó, after the neighbourhood where it was unearthed in 1921. Soil in the Tophet of Salammbó was found to be full of olive wood charcoal, probably from the sacrificial pyres. 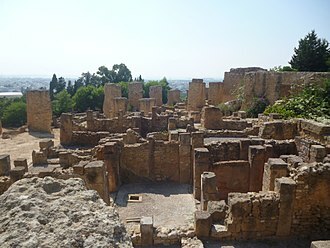 It was the location of the temple of the goddess Tanit and the necropolis. Animal remains, mostly sheep and goats, found inside some of the Tophet urns, strongly suggest that this was not a burial ground for children who died prematurely. The animals were sacrificed to the gods, presumably in place of children (one surviving inscription refers to the animal as "a substitute"). It is conjectured that the children unlucky enough not to have substitutes were also sacrificed and then buried in the Tophet. 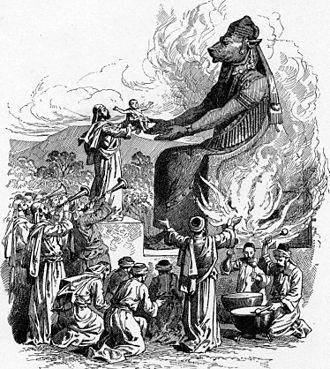 The remains include the bodies of both very young children and small animals, and those who argue in favor of child sacrifice have argued that if the animals were sacrificed then so too were the children. 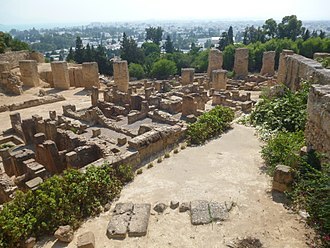 The area covered by the Tophet in Carthage was probably over an acre and a half by the fourth century BCE, with nine different levels of burials. About 20,000 urns were deposited between 400 BCE and 200 BCE, with the practice continuing until the early years of the Christian period. The urns contained the charred bones of newborns and in some cases the bones of fetuses and two-year-olds. These double remains have been interpreted to mean that in the cases of stillborn babies, the parents would sacrifice their youngest child. A detailed breakdown of the age of the buried children includes pre-natal individuals – that is, still births. It is also argued that the age distribution of remains at this site is consistent with the burial of children who died of natural causes, shortly before or after birth. 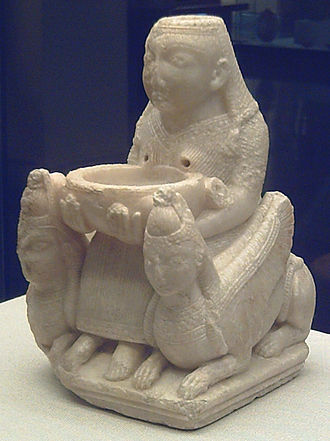 Sergio Ribichini has argued that the Tophet was "a child necropolis designed to receive the remains of infants who had died prematurely of sickness or other natural causes, and who for this reason were "offered" to specific deities and buried in a place different from the one reserved for the ordinary dead". He adds that this was probably part of "an effort to ensure the benevolent protection of the same deities for the survivors." However, this analysis is disputed; Patricia Smith and colleagues from the Hebrew University and Harvard University show from the teeth and skeletal analysis at the Carthage Tophet that infant ages at death (about two months) do not correlate with the expected ages of natural mortality (perinatal). 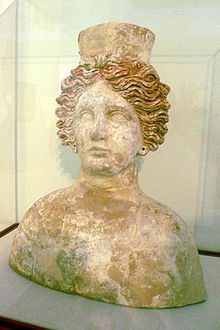 Long after the fall of Carthage, Tanit was still venerated in North Africa under the Latin name of: Juno Caelestis, for her identification with the Roman goddess Juno. [unreliable source] The ancient Berber people of North Africa also adopted the Punic cult of Tanit. In Egyptian, her name means 'Land of Neith', Neith being a war goddess. Her symbol (the sign of Tanit), found on many ancient stone carvings, appears as a trapezium closed by a horizontal line at the top and surmounted in the middle by a circle; the horizontal arm is often terminated either by two short upright lines at right angles to it or by hooks. Later, the trapezium was frequently replaced by an isosceles triangle. The symbol is interpreted by Danish professor of Semitic philology F. O. Hvidberg-Hansen as a woman raising her hands. Hvidberg-Hansen notes that Tanit is sometimes depicted with a lion's head, showing her warrior quality. 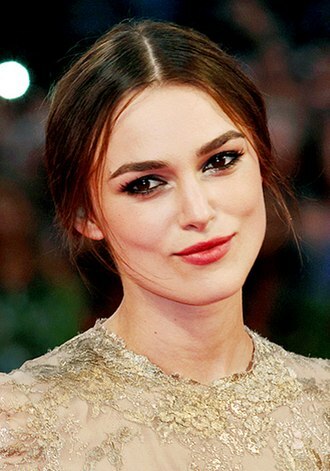 In modern times the name, often with the spelling Tanith, has been used as a female given name, both for real people (such as the writer Tanith Lee and model Tanit Phoenix) and in fiction. In Gustave Flaubert's historical novel Salammbô (1862), the title character is a priestess of Tanit. Mâtho, the chief male protagonist, a Libyan mercenary rebel at war with Carthage, breaks into the goddess's temple and steals her veil. In Kate Elliott's Spiritwalker trilogy, a romanticised version of Tanit is one of many deities commonly worshiped in a polytheistic Europa. 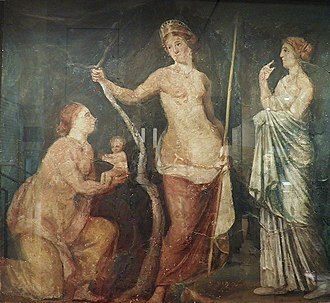 The narrator, Catherine, frequently appeals to "Blessed Tanit, Protector of Women", and the goddess occasionally appears to her. 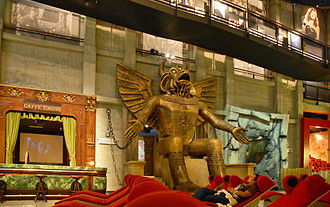 It was Moloch upon the mountain of the Latins, looking with his appalling face across the plain; it was Baal who trampled the vineyards with his feet of stone; it was the voice of Tanit the invisible, behind her trailing veils, whispering of the love that is more horrible than hate. In Margaret Atwood's The Blind Assassin there is an epigraph on a Carthaginian funerary urn that reads: "I swam, the sea was boundless, I saw no shore. / Tanit was merciless, my prayers were answered. / O you who drown in love, remember me." 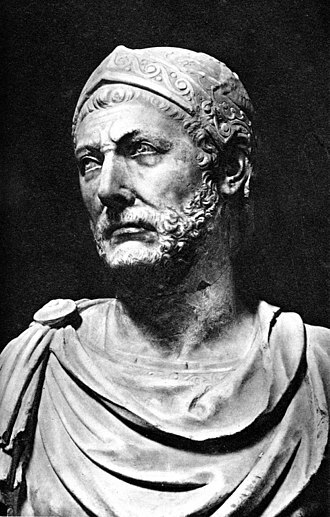 In John Maddox Roberts's alternate history novel Hannibal's Children, in which the Carthaginians won the Second Punic War, one of the characters is Princess Zarabel, leader of the cult of Tanit. Isaac Asimov's 1956 science fiction short story "The Dead Past" tells of Arnold Potterley, a professor of ancient history, who is obsessed with exonerating the Carthaginians of child sacrifice and tries to gain access to the chronoscope, a device which allows direct observation of past events. Eventually, Potterley's obsession with the Carthaginian past has far-reaching effects on the society of the present. ^ 'TNT in Phoenician and Punic inscriptions. ^ Miles, Richard (2011). Carthage Must Be Destroyed: The Rise and Fall of an Ancient Civilization. Penguin. p. 68. ^ The standard survey is: Hvidberg-Hansen, F. O. (1982). La déesse TNT: Une Etude sur la réligion canaanéo-punique (in French). Copenhagen: Gad. . An extensive critical review by G. W. Ahlström appeared in Journal of Near Eastern Studies 45(4), October 1986, pp. 311–314. ^ Rezgui, Sadok (1989). Les chants tunisiens (in French). Tunis: Maison tunisienne de l'édition. ^ Ottavo contributo alla storia degli studi classici e del mondo antico Arnaldo Momigliano - 1987 p240. ^ "Tanit | ancient deity". Encyclopaedia Britannica (online ed.). Retrieved 8 August 2017. ^ Pritchard, James B. (1978). 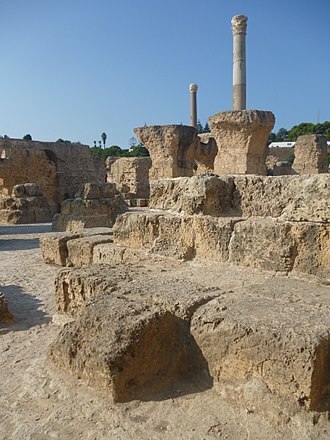 Recovering Sarepta, a Phoenician City. Princeton University Press. . The inscription reads TNT TTRT, and could identify Tanit as an epithet of Astarte at Sarepta, for the TNT element does not appear in theophoric names in Punic contexts (Ahlström 1986 review, p 314). ^ Xella, Paolo; Quin, Josephine; Melchiorri, Valentina; van Dommelen, Peter. "Phoenician bones of contention". Antiquity. 87 (338): 1199–1207. Retrieved 17 February 2014. ^ Briand-Ponsart, Claude; Crogiez, Sylvie (2002). L'Afrique du nord antique et médievale: Mémoire, identité et imaginaire (in French). Publications de l'Université de Rouen et du Havre. p. 13. ISBN 2-87775-325-5. ^ a b Schwartz, Jeffrey H.; Houghton, Frank; Macchiarelli, Roberto; Bondioli, Luca (17 February 2010). "Skeletal Remains from Punic Carthage Do Not Support Systematic Sacrifice of Infants". PLOS One. Public Library of Science. 5 (2): e9177. Bibcode:2010PLoSO...5.9177S. doi:10.1371/journal.pone.0009177. Retrieved 23 January 2014. ^ Smith, Patricia; Stager, Lawrence E.; Greene, Joseph A.; Avishai, Gal. "Age estimations attest to infant sacrifice at the Carthage Tophet". Antiquity. 87 (338): 1191–1199. Retrieved 23 January 2014. ^ Tate, Karen (2008). Sacred Places of Goddess. CCC Publishing. p. 137. ISBN 1-888729-11-2. ^ Brett, Michael; Fentress, Elizabeth (1997). The Berbers. Blackwell. p. 269. ^ Azize, Joseph. The Phoenician Solar Theology. p. 177. ^ Porter, Laurence M. (2002). Gustave Flaubert's "Madame Bovary": A Reference Guide. Greenwood. p. xxxi. Markoe, Glenn E. (2000). Phoenicians. "Peoples of the Past" series. Berkeley: University of California Press. ISBN 9780520226142. OCLC 45096924. Gilbert Keith Chesterton, KC*SG, better known as G. K. Chesterton, was an English writer, philosopher, journalist, lay theologian and literary and art critic. Chesterton is often referred to as the prince of paradox, Time magazine has observed of his writing style, Whenever possible Chesterton made his points with popular sayings, allegories—first carefully turning them inside out. Chesterton is well known for his fictional priest-detective Father Brown, even some of those who disagree with him have recognised the wide appeal of such works as Orthodoxy and The Everlasting Man. 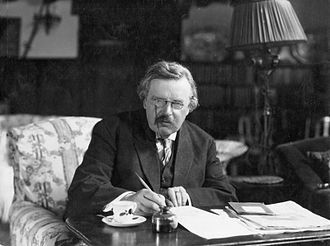 Chesterton, as a thinker, cast aspersions on both Progressivism and Conservatism, The whole modern world has divided itself into Conservatives and Progressives. The business of Progressives is to go on making mistakes, the business of the Conservatives is to prevent the mistakes from being corrected. George Bernard Shaw, Chestertons friendly enemy according to Time, said of him, biographers have identified him as a successor to such Victorian authors as Matthew Arnold, Thomas Carlyle, Cardinal John Henry Newman, and John Ruskin. Chesterton was born in Campden Hill in Kensington, the son of Marie Louise, née Grosjean and he was baptised at the age of one month into the Church of England, though his family themselves were irregularly practising Unitarians. According to his autobiography, as a young man Chesterton became fascinated with the occult and, along with his brother Cecil, Chesterton was educated at St Pauls School, attended the Slade School of Art to become an illustrator. The Slade is a department of University College London, where Chesterton took classes in literature, Chesterton married Frances Blogg in 1901, the marriage lasted the rest of his life. Chesterton credited Frances with leading him back to Anglicanism, though he considered Anglicanism to be a pale imitation and he entered full communion with the Catholic Church in 1922. In 1896 Chesterton began working for the London publisher Redway, and T. Fisher Unwin, during this period he undertook his first journalistic work, as a freelance art and literary critic. Romanization may refer to linguistics see Romanization. Ancient Roman historiography and Italian historiography until the fascist period used to call these various processes the civilizing of barbarians, the acculturation proceeded from the top down, the upper classes adopting Roman culture first and the old ways lingering longest in outlying districts among peasants. 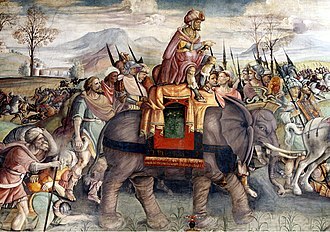 Hostages played an important part in this process, as elite children, Ancient Roman historiography and traditional Italian historiography confidently identified the different processes involved with a civilization of barbarians. 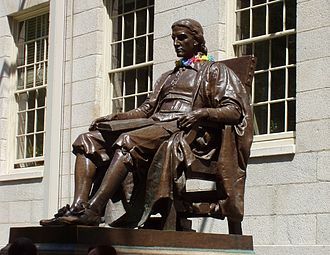 Modern historians take a more nuanced view, by making their peace with Rome, local elites could make their position more secure, new themes include the study of personal and group values and the construction of identity, the personal aspect of ethnogenesis. These transitions operated differently in different provinces, as Blagg and Millett point out even a Roman province may be too broad a canvas for generalizations. 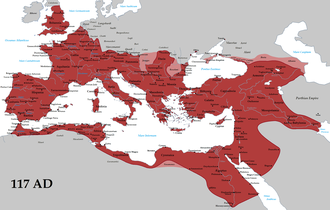 One characteristic of cultural Romanization was the creation of hundreds of Roman coloniae in the territory of the Roman Republic. Until Trajan, colonies were created using retired veteran soldiers, mainly from the Italian peninsula, about 400 towns are known to have possessed the rank of colonia. 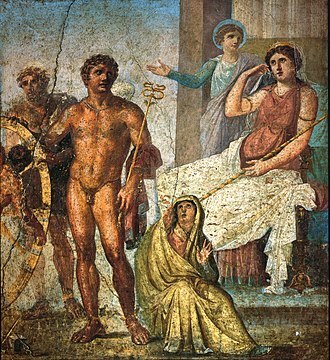 During the empire, colonies were showcases of Roman culture and examples of the Roman way of life, the native population of the provinces could see how they were expected to live. 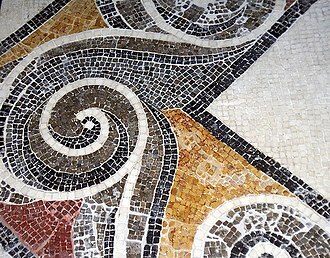 Livius All this slowly culminated in many developments, The very existence is a source of contention among modern archaeologists. One of the first approaches, which can be regarded as the traditional approach today, was taken by Francis Haverfield. These coloniae would have spoken Latin and have been citizens of Rome following their army tenure – Haverfield thus assumes this would have a Romanising effect upon the native communities. This thought process, fueled though it was by early 20th century standards of Imperialism and cultural change, recent scholarship has devoted itself to providing alternate models of how native populations adopted Roman culture, while questioning the extent to which it was accepted or resisted. Ugarit was an ancient port city, the ruins of which are located at what is now called Ras Shamra, a headland in northern Syria. The polity was at its height from c.1450 BC until 1200 BC, Ras Shamra lies on the Mediterranean coast, some 11 kilometres north of Latakia, near modern Burj al-Qasab. 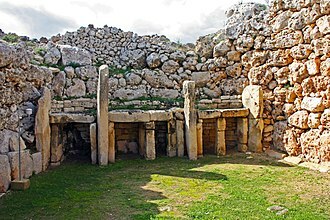 Neolithic Ugarit was important enough to be fortified with an early on, perhaps by 6000 BC. Ugarit was important perhaps because it was both a port and at the entrance of the trade route to the Euphrates and Tigris lands. The city reached its heyday between 1800 and 1200 BC, when it ruled a trade-based coastal kingdom, trading with Egypt, the Aegean, the Hittites, and much of the eastern Mediterranean. The first written evidence mentioning the city comes from the city of Ebla. 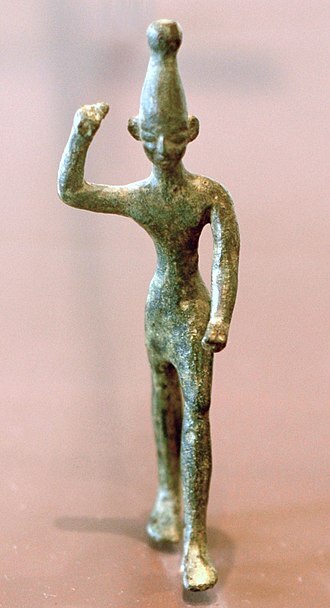 Ugarit passed into the sphere of influence of Egypt, which influenced its art. Evidence of the earliest Ugaritic contact with Egypt comes from a carnelian bead identified with the Middle Kingdom pharaoh Senusret I, a stela and a statuette from the Egyptian pharaohs Senusret III and Amenemhet III have been found. However, it is unclear at what time these monuments were brought to Ugarit, amarna letters from Ugarit c.1350 BC record one letter each from Ammittamru I, Niqmaddu II, and his queen. From the 16th to the 13th century BC, Ugarit remained in contact with Egypt. In the second millennium BC, Ugarits population was Amorite, the kingdom of Ugarit may have controlled about 2,000 km2 on average. During some of its history it would have been in close proximity to, the last Bronze Age king of Ugarit, was a contemporary of the Hittite king Suppiluliuma II. 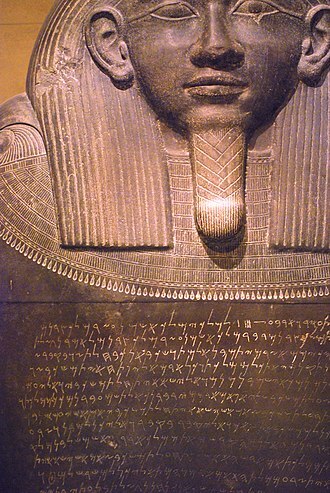 The exact dates of his reign are unknown, however, a letter by the king is preserved, in which Ammurapi stresses the seriousness of the crisis faced by many Near Eastern states from invasion by the advancing Sea Peoples. Does not my father know that all my troops and chariots are in the Land of Hatti, the country is abandoned to itself. May my father know it, the seven ships of the enemy that came here inflicted much damage upon us, however, no help arrived, and the city was burned to the ground at the end of the Bronze Age. The parallel sides are called the bases of the trapezoid and the other two sides are called the legs or the lateral sides. A scalene trapezoid is a trapezoid with no sides of equal measure, the first recorded use of the Greek word translated trapezoid was by Marinus Proclus in his Commentary on the first book of Euclids Elements. This article uses the term trapezoid in the sense that is current in the United States, in many other languages using a word derived from the Greek for this figure, the form closest to trapezium is used. A right trapezoid has two adjacent right angles, right trapezoids are used in the trapezoidal rule for estimating areas under a curve. An acute trapezoid has two adjacent acute angles on its longer base edge, while an obtuse trapezoid has one acute, an acute trapezoid is an isosceles trapezoid, if its sides have the same length, and the base angles have the same measure. An obtuse trapezoid with two pairs of sides is a parallelogram. A parallelogram has central 2-fold rotational symmetry, a Saccheri quadrilateral is similar to a trapezoid in the hyperbolic plane, with two adjacent right angles, while it is a rectangle in the Euclidean plane. A Lambert quadrilateral in the plane has 3 right angles. A tangential trapezoid is a trapezoid that has an incircle, there is some disagreement whether parallelograms, which have two pairs of parallel sides, should be regarded as trapezoids. Some define a trapezoid as a quadrilateral having one pair of parallel sides. Others define a trapezoid as a quadrilateral with at least one pair of parallel sides, the latter definition is consistent with its uses in higher mathematics such as calculus. The former definition would make such concepts as the trapezoidal approximation to a definite integral ill-defined and this article uses the inclusive definition and considers parallelograms as special cases of a trapezoid. This is advocated in the taxonomy of quadrilaterals, under the inclusive definition, all parallelograms are trapezoids. Rectangles have mirror symmetry on mid-edges, rhombuses have mirror symmetry on vertices, while squares have mirror symmetry on both mid-edges and vertices. Four lengths a, c, b, d can constitute the sides of a non-parallelogram trapezoid with a and b parallel only when | d − c | < | b − a | < d + c.
Anat or Anath is a major northwest Semitic goddess. 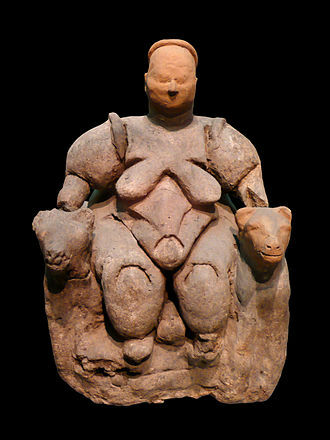 In the Ugaritic Ba‘al/Hadad cycle ‘Anat is a violent war-goddess, a virgin who is the sister and, according to a disputed theory. Ba‘al is usually called the son of Dagan and sometimes the son of El, ‘Anats titles used again and again are virgin ‘Anat and sister-in-law of the peoples. Her character in this passage anticipates her subsequent warlike role against the enemies of Baal. the daughter of El. Later, when Ba‘al is believed to be dead, she seeks after Ba‘al like a cow for its calf and finds his body and buries it with great sacrifices and weeping. 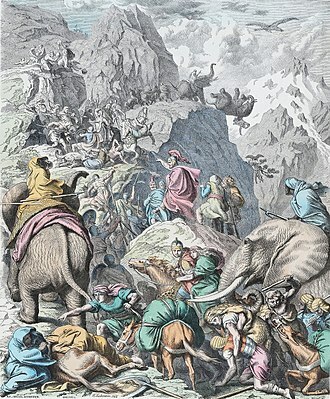 Text CTA10 tells how ‘Anat seeks after Ba‘al who is out hunting, finds him, following the birth she brings the new calf to Ba‘al on Mount Zephon. Nowhere in these texts is ‘Anat explicitly Ba‘al Hadads consort, to judge from traditions ‘Athtart is more likely to be Ba‘al Hadads consort. Complicating matters is that northwest Semitic culture permitted more than one wife and he added to this insult by asking what would a woman do with a bow. Like Inanna in the Epic of Gilgamesh, ‘Anat complained to El, ‘Anat launched her attendant Yatpan in hawk form against Aqhat to knock the breath out of him and to steal the bow back. 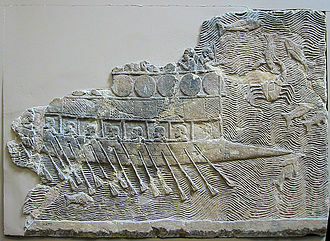 Her plan succeeds, but Aqhat is killed instead of merely beaten, in her rage against Yatpan, Yatpan runs away and the bow and arrows fall into the sea. ‘Anat mourned for Aqhat and for the curse that this act would bring upon the land, the focus of the story turns to Paghat, the wise younger sister of Aqhat. She sets off to avenge her brothers death and to restore the land which has been devastated by drought as a result of the murder. It breaks at a dramatic moment when Paghat discovers that the mercenary whom she has hired to help her avenge the death is, in fact, Yatpan. The parallels between the story of ‘Anat and her revenge on Mot for the killing of her brother are obvious, in the end, the seasonal myth is played out on the human level. Gibson thinks Rahmay, co-wife of El with Athirat, is the goddess ‘Anat, use of dual names of deities in Ugaritic poetry are an essential part of the verse form, and that two names for the same deity are traditionally mentioned in parallel lines.